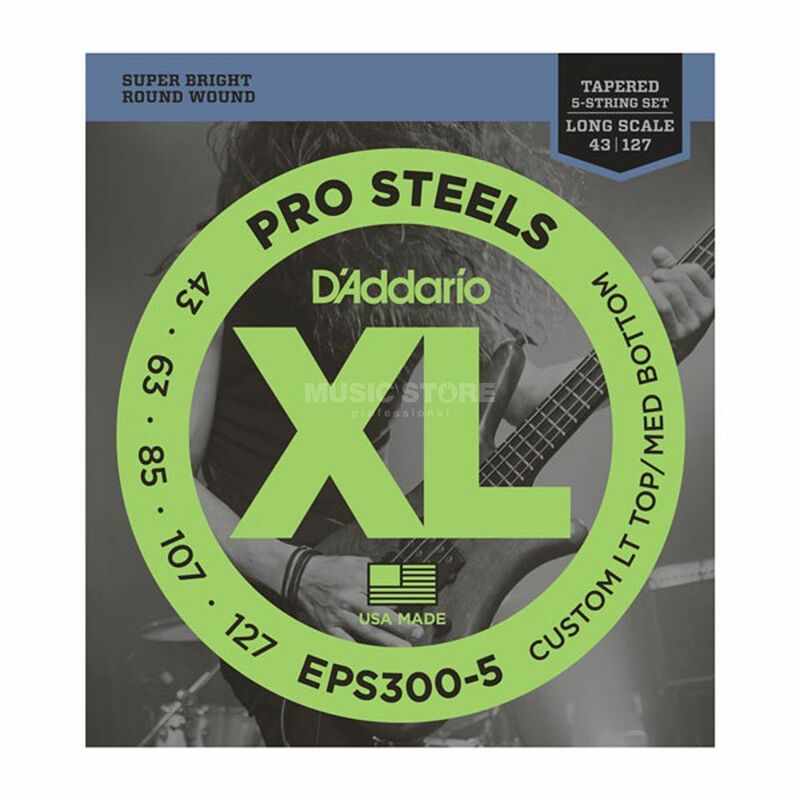 The D'Addario EPS300-5 ProSteels Custom Light Top & Medium Bottom Bass 5-Strings 43-127 is a pack of strings for a five-string bass guitar. The EPS300-5 is a custom hybrid bass set with a unique gauge combination of .043 and .063 for the high strings and a tapered .085, .107 and .127 for the low strings. This set delivers a biting high end, punchy lows and super long life.